List Rules Vote up the actors whose "art" projects make your eyes roll farthest back into your head. No matter what role they’re most famous for portraying or how cool they seem on the big screen, most actors are weird. If you live in LA or New York, you can’t walk down the block without stumbling across weird actor art projects. (Especially if you live near Shia LaBeouf.) Whether they’re wearing bags over their heads and sitting silently in an art gallery, or rapping for eight hours straight in modern art museum, weird actor stunts are all around us. Why do actors do such weird things? A lot of them got their start in the art world, so acting out with a bag full of confetti and a bottle of pig’s blood is pretty much first nature. The rest of them probably just don’t want to be left out. Put on your beret and take a look at these actors who do “art” projects, ranked by how hard they make you roll your eyes. There are a few celebrities known for artsy stunts who are able to move in out of the commercial world with ease. Actors like James Franco and musicians like Lady Gaga have mastered the ability to smear themselves in glue and thumbtacks one day, and appear in a Honda commercial the next. Most of the actors who do weird things on this list are pretty cool, but that doesn’t mean that their artwork is any less embarrassing. After appearing in three Transformers movies and spending his childhood on the Disney Channel, it makes sense that LeBeouf would want to express himself. But what would his grand statement to the world be? 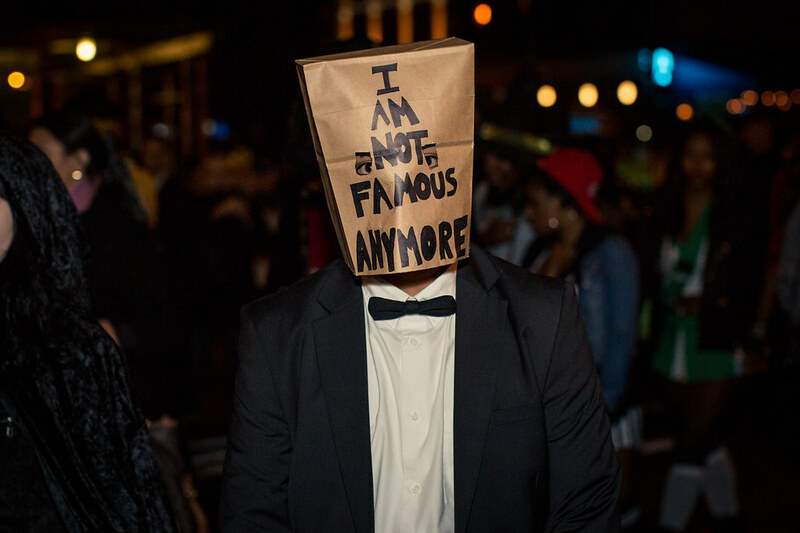 #IAMSORRY, a 2014 art installation that found the star sitting at a table in a Los Angeles gallery and wearing a bag on his head. Are you rolling your eyes? James Franco may be a genius. Or he may just be really bored. He's written a couple of books (and a very boring short story about Lindsay Lohan), he appeared in 20 episodes of General Hospital as the artist "Franco," and he did a series of photos called "New Film Stills" inspired by Cindy Sherman's "Untitled Film Stills." The photos are just snapshots of Franco dressed as different women (?). Anyway, they were not well received. For a more in depth look at the world of James Franco, take a look at this list of the 25 Weirdest Things The Franco Has Ever Done. Remember 2010, when mockumentaries were huge? They were going to be the next big thing! No one would know what was real and what was imagined! Everyone would start growing bears and rapping! 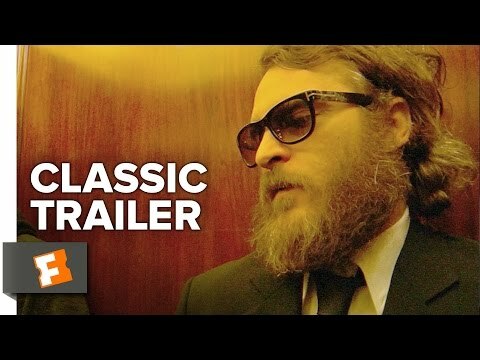 That's what the pitch meeting was for Joaquin Phoenix's sometimes funny, mostly tedious faux art mockumentary I'm Still Here was probably like.